One from life drawing today. 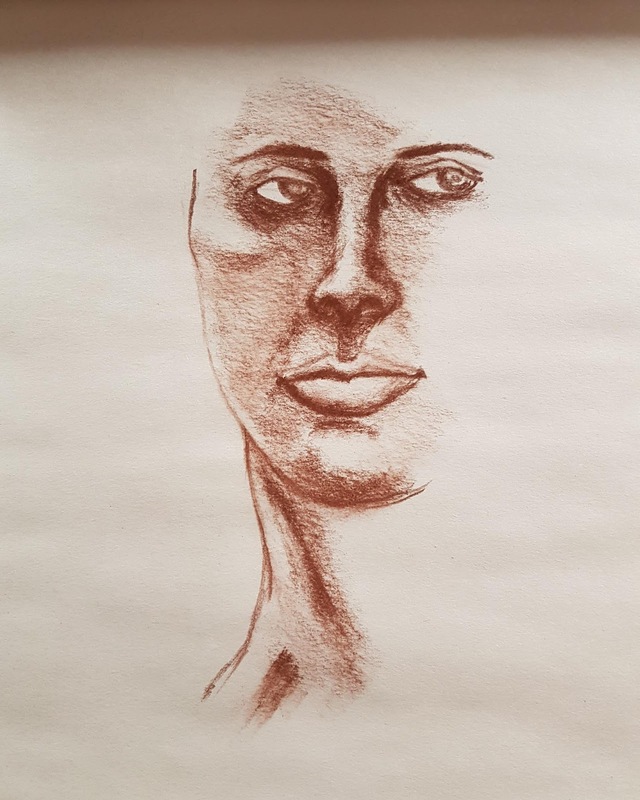 I bought a bunch of new pencils and charcoal including this sepia pencil. Pretty happy with how this worked out. There was a woman besides me who was such an amazing artist. At first it intimidated me but then I tried to watch her for a bit to catch some tips. This was what I drew after.